Evoluent’s Reduced Reach Right-Hand Keyboard solves a problem righties might not have realized they had. Righties’ particular plight, as Evoluent sees it anyway, is that conventional keyboards shift character keys slightly to the left to make room for the right-sided number pad. That means we have to stretch farther to reach the mouse when we lift our right hand off the keyboard. It’s a first-world problem, to be sure, but one with some ergonomic hazards—namely, arm and shoulder strain. 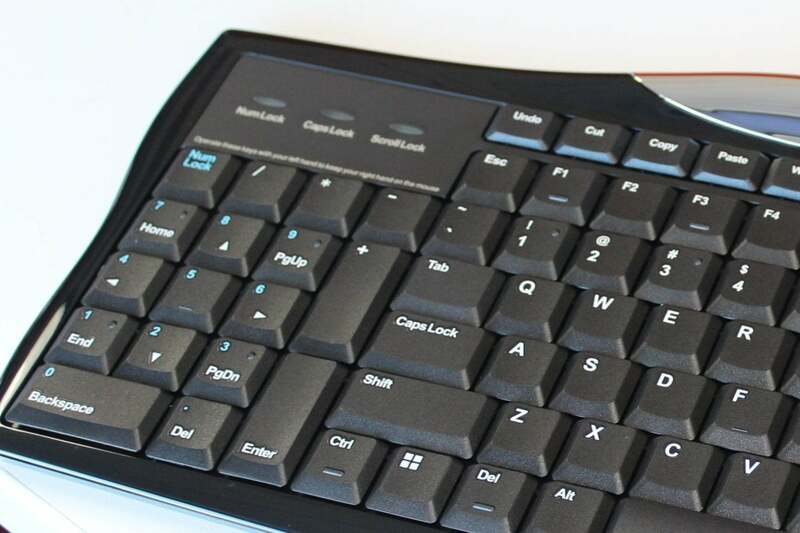 The main way the Evoluent Reduced Reach Right-Hand Keyboard ($60 on Amazon) addresses the issue is by moving the number pad to the left side, thereby putting the character keys—where your hands spend most of their typing time—closer to the mouse. The keyboard also puts commonly used keys like Enter, Backspace, Delete, Page Up, and Page Down flush together on the far right of the keyboard, so your hand doesn’t have to travel as far from the mouse to access them. 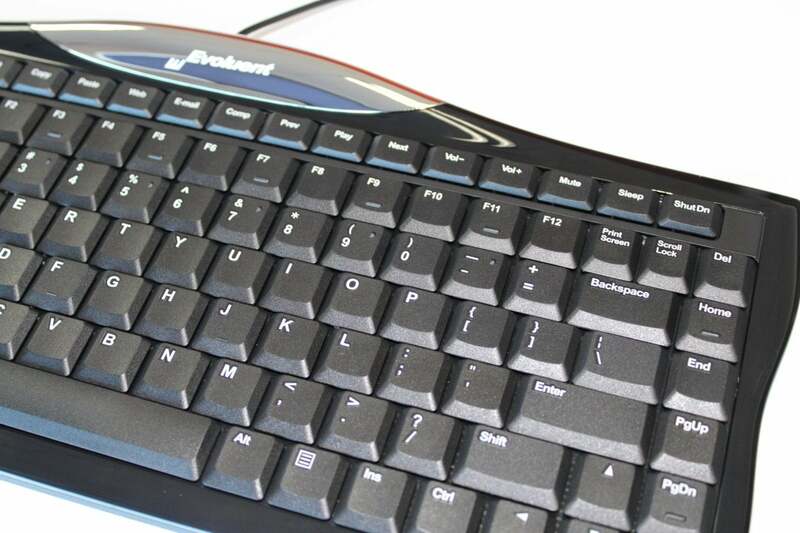 The Reduced Reach Right-Hand keyboard moves the number pad to the left side, shifting commonly used keys closer to your mouse. If you’re at all ambidextrous, you can increase your efficiency even more. Those same keys are duplicated on the left side, nestled in the number pad (as they are on a conventional keyboard), so you can use them with your left hand while keeping your right one on the mouse. A third Delete key is placed in the bottom row near the space key. Such a significant reconfiguring takes some getting used to. The biggest hurdles I had were adjusting to how densely packed the keys are, and using the number pad with my left hand. The first just took some time, but the second was a non-starter. Fortunately, I don’t spend much time crunching numbers, but if you do, you should consider whether you could adapt to using your south paw. Otherwise, you’ll just trade the strain of reaching for your mouse for that of reaching your right hand across the keyboard to 10-key. 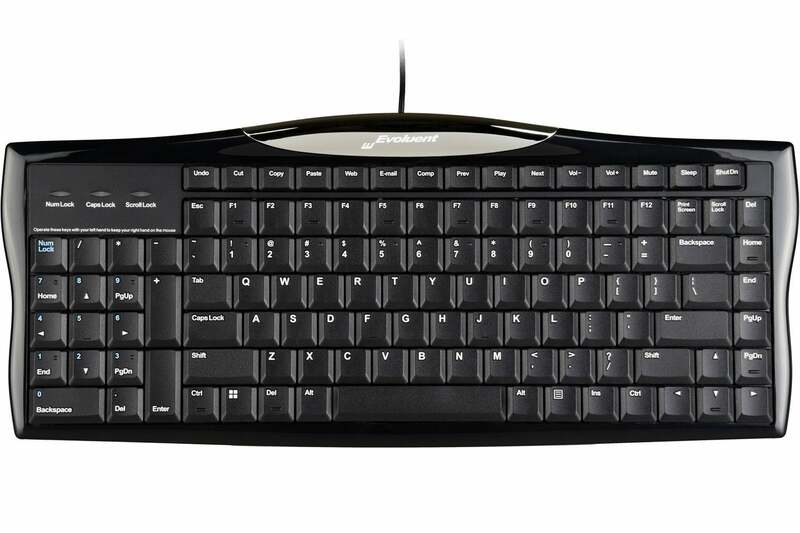 A row of dedicated Windows one-touch keys, at the top of the keyboard, moves function and character keys down a row. This leaves your hands half-hanging off the keyboard when they’re in the home-row position. Another sticking point for me was hand placement. The keyboard adds a row of dedicated Windows one-touch shortcut keys across the top for functions like cutting and pasting, email access, and volume control. This pushes all the function and character keys down a row, so when my hands were in the F-and-J position, half of each hand was hanging off the keyboard. That felt neither comfortable nor ergonomically sound. As for the whole right-handed-reach thing, yes my arm did feel a little more relaxed when mousing, though I’ve never noticed much of an issue with strain with regular keyboards. In the end, I felt like was trading one ergonomic challenge I didn’t really feel I had for a different set of functional, if not physical, discomforts. If you have arm or shoulder strain that’s caused or aggravated by mouse use, then it makes sense to give the Evoluent Reduced Reach Right-Hand Keyboard a try. Just be aware that there is a significant learning curve, and you may have to do a lot of hunting and pecking for the first week. If you are afflicted with nothing more than being one of the right-handed majority, this keyboard may or may not make marked difference in your computing comfort. Whether it’s worth $60 to find out is up to you. The Evoluent Reduced Reach Right-Hand Keyboard is worth considering if you suffer from right-arm strain, but it's by no means essential for all righties.